West Haven Cricket Club beat Brass CC by 59 runs in 2013 SCTCA 40 over opener. Brass CC won the toss and put WHCC to bat. WHCC openers Prasanna Ramaswamy (26 runs) and Kenroy Taylor (22) gave a great start to WHCC by scoring 48 runs in 9 overs. WHCC lost the openers in quick succession after a good start. WHCC's middle and lower order failed to adapt to the slower wicket and the team bundled up for a mere 118 runs. Rajesh Narayanan was on the only other WHCC batsman, who showed some promise and determination to stay on the wicket scoring 19 runs. WHCC skipper immediately brought in spinners Jignesh Patel (the savior) & Madhu Reddy into the attack. Living up to the skipper's faith, Jignesh rattled the wickets the very first ball.Immediately in the same over, he got rid of the danger man Latif Khan. Thanks an an exceptional low kept diving catch in the covers by Sri Garmilla (physically fit). Once again, skipper's field placement paid off. Jignesh & Madhu put pressure on Brass CC batsmen by bowling a nagging length.Jignesh took 3 more wickets finishing his spell with 8 overs-2 maidens-8 runs- 5 wkts, and Prasanna took 3 wickets to bundle-up Brass CC for 59 runs. 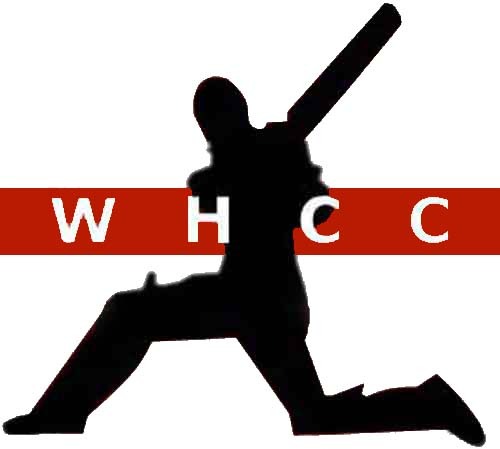 Good start for WHCC this season, but there are many areas for the team to work on, and we are confident that our captain cool(Prasanndra Singh Dhoni)will drive the team to success.